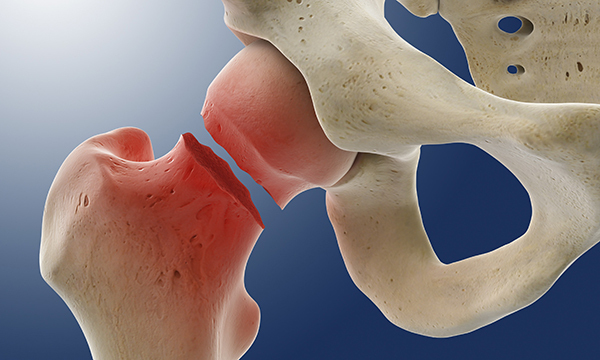 People using moderate or strong opioid painkillers have a higher risk of sustaining a hip fracture than those not using opioids, new research has revealed. The objective of this study was to see if opioid use was associated with an increased risk of hip fracture in people with Alzheimer’s disease living in the community. The research team used data from 4,750 opioid users with Alzheimer’s disease matched with the same number of people with the disease, but not using opioids. They found that although weak opioids such as codeine and tramadol caused no problem, moderate strength opioids such as buprenorphine were associated with a two-fold increase in risk of hip fracture. Strong opioids, such as oxycodone and fentanyl, were associated with an almost three-fold increased risk. Opioids are used for severe pain in cases where other painkillers fail to produce sufficient response. They affect the central nervous system and their use may cause impairment of attention or drowsiness. This increased mental impairment in people who already have Alzheimer’s disease is likely to increase the risk of falls which, in turn, may lead to hip fracture in older people. The risk was highest during the first two months of treatment and reduced after that, therefore risk of falls might be avoided by starting with a low dose of opioids and increasing it gradually over time.